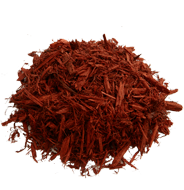 Red Cedar Mulch Red Cedar Mulch is made of northern white cedar, finely ground and tinted with environmentally safe colorant. It has the same aromatic and long-lasting characteristics as our natural and black mulch. Blend Mulch Premium Blend is a mix of hemlock, pine, spruce and fir with a delightful pine scent. This mulch is color-enhanced to give it the look of pure hemlock and processed to the same fine texture, making it a popular, cost-effective alternative. 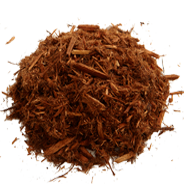 Natural Cedar Mulch Natural Cedar Mulch is not only aromatic, but long-lasting due to the high mineral content that reduces decomposition. 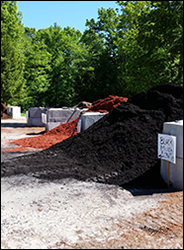 No colorant is added to Natural Cedar Mulch so you can be sure that you are creating the most natural look for all your landscaping projects. 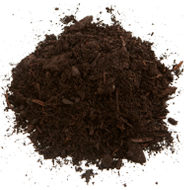 Hemlock Mulch Naturally Aged Hemlock Mulch is a finely ground mulch that is aged to a deep, rich burgundy color. Made from the finest hemlock, this seasoned mulch brings beautiful contrast to every garden or walkway. 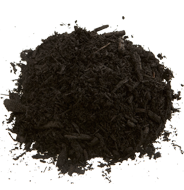 Black Mulch Black Mulch is a mixture of softwoods, including northern white cedar, is tinted with black, environmentally safe colorant. 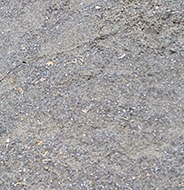 This fine textured mulch provides a striking contrast to brightly colored flowers and gardens. Playground Chips Certified Playground Chips at the standard you deserve and expect whether for a playground, path, or stable. 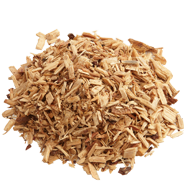 Spruce Bark Mulch Dark Pine Spruce Bark Mulch is a blend of spruce and fir bark that is aged to a rich, dark brown. With the wonderful spruce scent, this mulch compliments any garden or landscape. 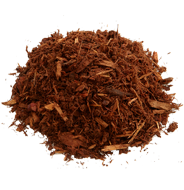 Dark Pine Spruce Bark Mulch is an all natural mulch with no colorant added. 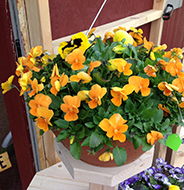 Barrington Mulch & Flower offers Spring and Summer flowers, ready for placement on your porch or patio. Hanging flower baskets will also be available. 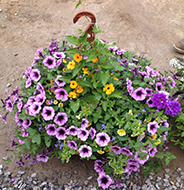 These baskets will have seasonal flowers that will bloom all season long. 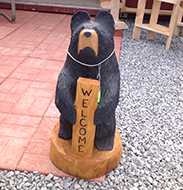 Barrington Mulch & Flower offers these one-of-a-kind Wood Carvings. All of these carvings are hand carved by chainsaw and are beautiful pieces of art that would be the perfect finish to your Spring and Summer projects on your lawn! 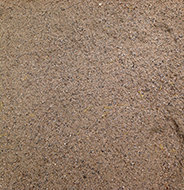 Washed Sand Barrington Mulch & Flower’s Washed Sand is finely graded sand and can be used for fill, to topdress golf course greens, and as a base for laying brick and pavers. 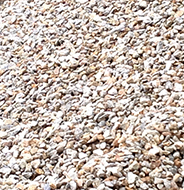 Stone Dust Barrington Mulch & Flower’s Stone Dust is pulverized stone used in the construction of walkways or other stable surfaces. 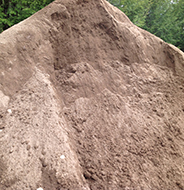 1/2" Loam Barrington Mulch & Flower’s 1/2" Loam has very few rocks and sticks. 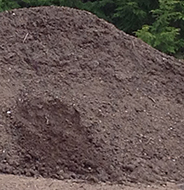 1/2" loam is best for gardening or laying for a new lawn. 3/4" Loam Barrington Mulch & Flower’s 3/4" Loam has some rocks and sticks but nothing that measures over approximately 3/4". 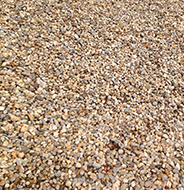 3/4" Crushed Stone Barrington Mulch & Flower’s 3/4" Crushed Stone is crushed rocks which have all passed through a square screen for the appropriate size stone. The crushing process results in a very angular finished product. 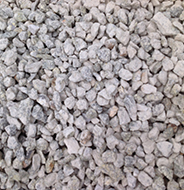 3/4" Blue Stone Barrington Mulch & Flower’s 3/4" Blue Stone is blue quarry stone great for drainage or decoration around your home or business. 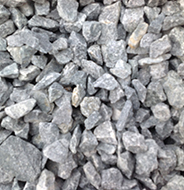 1-1/2" Crushed Stone Barrington Mulch & Flower’s 1-1/2" Crushed Stone is crushed rocks which have all passed through a square screen for the appropriate size stone. The crushing process results in a very angular finished product. River Rock Barrington Mulch & Flower’s River Rock has been smoothed by the forces of water and friction so that there are no sharp edges. It is often used for decorative purposes, around homes, pools or dry creek beds.